Vibration is a significant factor contributing to reliability and integrity problems. 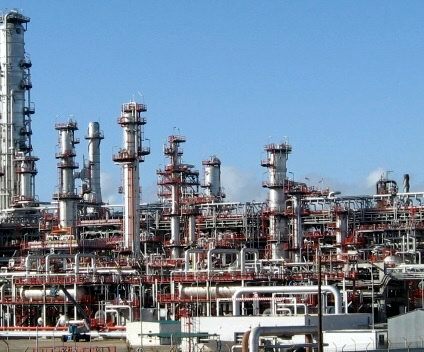 For example, a vibration-induced piping failure will release gas or liquid that can cause a fire or explosion – an extreme personnel safety issue, production shut-down and multi-million dollar environmental risk. Many different sources of vibration contribute to this integrity risk, including transient or steady-state fluid flow, pulsations, and mechanical excitations. Companies understand the importance of mitigating vibration and associated piping failures. They know it involves a small upfront investment by hiring vibration/dynamic design engineers to ensure that vibration and dynamic issues are considered in the design phase. This effort quickly pays off, especially compared to the costs involved in field modifications. Vibration risks affect different areas of a production facility. An integrated approach is needed because different engineering disciplines are involved in the solution (piping/static engineers, structural engineers, rotating engineers, maintenance and reliability/integrity teams). An overview of this approach is given in the table below and more detail is found in the following paragraphs. Vibration/Dynamic Design Review: Identify high-risk areas and define requirements of vibration/dynamic engineering analysis. Evaluate piping layout, pulsation control, surge control, mechanical and skid dynamics, torsional or lateral stress, small-bore connections, and other vibration /stress factors. Scope depends on the machine size and application. This work is coordinated with the machine packager and reliability team. Evaluate integrity risks in main piping and small-bore connections due to pulsations, flow-induced vibration, acoustic-induced vibration, transients or water hammer, shell modes, and piping mechanical response. This work is coordinated with the piping/static design team. This work is coordinated with the structural team. During the planning stage (i.e., Front End Engineering & Design, or FEED) owners or their Engineering Consultants contact Wood Group's vibration, dynamics & noise service line to provide recommendations for vibration related requirements. This can include machinery orientation and initial module layout, application advice, vibration requirements and scope, timing of critical path activities, and other initial design considerations. Compressor/Pump Vibration Assessment Once the project moves into the Detailed Design stage, the larger compressors and pumps will require specialized vibration design analysis (pulsation, mechanical resonance, compressor surge analysis, water hammer, etc.). The scope of work is dependent on the type of machine, size, and application. The recommended modifications are coordinated with the designated machinery packager and the Engineering Consultant. Early involvement of the vibration consultant enables time for finalizing coupling design, pulsation control vessel sizing, surge control components, pipe support locations and designs, skid design and dynamics, or other critical activities. Piping Vibration Assessment The piping system faces many vibration related risks – both in the main piping and with small-bore connections. The vibration or dynamic assessment can employ the methodology proposed in the Energy Institute Guideline (2008) to evaluate excitation sources including pulsations, mechanical resonance, acoustic-induced vibration, flow-induced vibration, turbulent flow, water hammer, cavitation, etc. High risk areas (high likelihood of failure) require advanced studies (or investigation), software and analytical tools, and sound field experience in piping vibration to ensure practical recommendations. Structural or Foundation Dynamic Assessment A Dynamic Foundation or Structural Assessment may be required, especially when reciprocating equipment, engines, and other dynamic loads are employed. These engineering studies are directly coordinated with the vibration/dynamic design of the compressor or pump package (Compressor/Pump Vibration Assessment above). Because these studies share key information in regards to boundary conditions, dynamic forces, forced response methodology, and Finite Element models. Examples where an integrated approach is used to mitigate vibration risks in the piping system, compressor and pump skids, offshore & onshore foundations, and elevated structural supports. Baseline Vibration Assessments. Using multi-channel analyzers and other equipment, vibration and stress measurements are taken at key locations to evaluate and mitigate integrity risks. Troubleshooting. Vibration-based problems often required advanced tools and techniques to assess the root cause of the problem and evaluate the best solution. Trial and error approaches seldom work in these cases due to the complexity of issues involved. Ongoing Monitoring Programs. A cost-effective vibration and equipment monitoring program pays dividends over the life of the operation. Practical and cost-effective monitoring solutions are available, even for remote locations. Best-in-Class companies follow this integrated approach so that a common methodology is applied by different stakeholders. Assign the champion(s) to create an overall plan is a useful first step. Educate the team; this is important. Before drilling down into the technical details, it is helpful to explain the basic dynamic/vibration risks facing the facility, which standards apply, and how these problems are solved. Wood Group can help raise the awareness and provide the necessary technical training. Correctly specify the required vibration scope into the initial FEED and design steps. For many projects, vibration issues are an afterthought. This means it is too late to make minor piping or support changes. Early involvement avoids this common problem, and saves time and money later. This cross-functional approach avoids issues “falling through the cracks” and averts multi-million dollar expenses due to piping fatigue failure and machinery downtime. This page summarizes the relevant excitation sources, approach, and requirements for piping vibration studies. This page explains structural resonance and the difference between dynamic structural analysis and static design studies. This document explains why vibration-induced fatigue failure needs to be included your Asset Integrity Management (AIM) program. 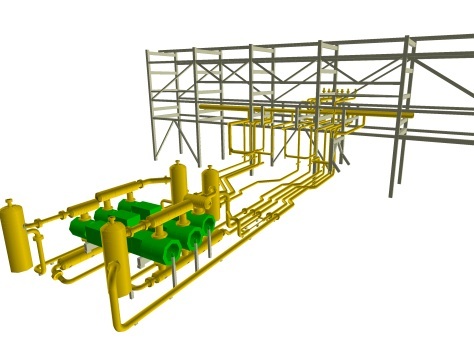 New Projects The ideal time to avoid vibration problems is during the design stage when minor changes to piping, supports, and other simple modifications are easy (and cost-effective) to implement. Brownfield Projects or Equipment Modifications These projects involve changes to the equipment, piping system, and operating conditions – all of which can introduce new vibration issues. Operations and Maintenance Commissioning, troubleshooting and monitoring activities require specialized experience to identify the root cause of problems and provide a practical path to improving the system. Wood Group’s engineering solutions provide a very high payback for owners. 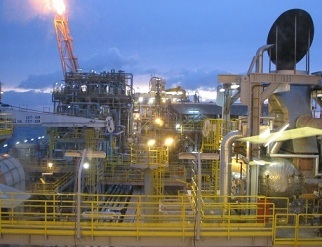 The company is the trusted advisor for many of the world’s largest petroleum-based companies.